Those seeking Meditation Classes NJ can actually take a short ride over the Outerbridge Crossing and take classes with one of the very best Meditation teachers in all of the USA. The Compassion Center opened its doors January 1st of this year with the intention of offering Meditation Classes to people who seek to address various issues in their lives. Even though we are based in Great Kills, Staten Island, we are only 21 minutes or less away from several cities in New Jersey. Woodbridge is a very popular stop for both New Jersey residents as well as Staten Island residents. People like to flock to Woodbridge to shop at the Mall and also to shop in the wonderful Wegmans. 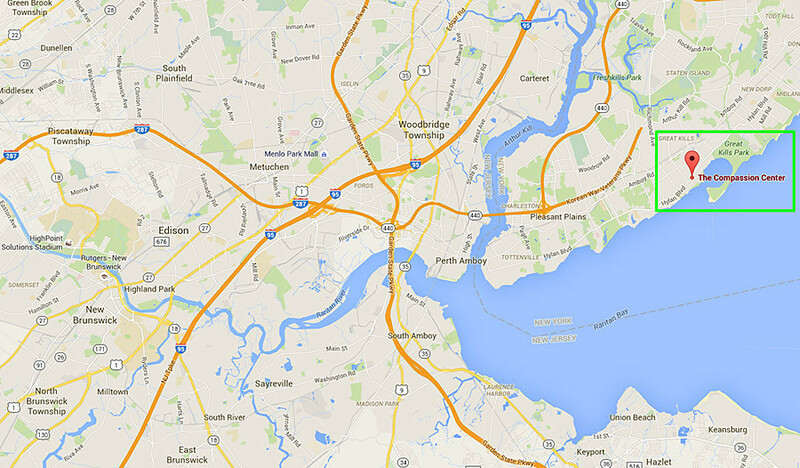 From Woodbridge, The Compassion Center is only 21 minutes (or less with no traffic) away from Woodbridge. Is 21 minutes too far to drive for some peace of mind? NJ residents can take Meditation classes at The Compassion Center with Venerable Thupten Puntsok. He has been teaching classes to people throughout the world but calls NYC his home base for the last 20 years. The Meditation classes taught at The Compassion Center are quite different from classes taught in most Yoga studios and in other centers. We teach a guided Meditation that is intended to help you relax, find peace of mind, and address any issue you are facing that you wish to resolve. The process is very simple. It begins with each person bringing their focus to their “motivation”. Your motivation is unique to you. It could be to remove depression, become less stressed, stop being so angry, find love, learn to love yourself, or anything else. Whatever your motivation is, you bring this into your mind. Then take 11 cycles of breath. Each complete inhalation and exhalation count as a cycle. Bring your motivation into your heart and remain still. Allow thoughts to come and go and don’t dwell on them. You may see a bright light or an object like a bright moon or sun. It is OK to focus on this. Then simply remain still and silent for as long as you wish. For first time meditators, this may be only 5 minutes. The amount of time is unimportant. We have had visitors come to our Meditation classes from various cities in New Jersey including Perth Amboy, South Amboy, Sayreville, New Brunswick, Edison, Metuchen, Carteret, Linden, Newark, Bayonne, Union, and Woodbridge. If you’re seeking to address any issues in your life or simply are interested in Meditation, please visit The Compassion Center.